As an experienced cyber law expert and lawyer I have observed a specific type of blackmail, which is called as “webcam blackmail“, “Skype blackmail“, “Skype scam” or “sextortion” for the last decade. We can say this crime is mainly committed on the internet by people particularly from Morocco, Ivory Coast, Philippines and as well as Turkey. They generally target male victims and because of that they create fake female profiles on the internet and social media sites with fake photos and false information. They never choose a victim randomly, instead they seek for a victim who looks wealthy and has a upscale good job like engineer, pilot, architect or businessman. Therefore, they try to find wealthy victims by checking internet profiles on social media websites such as Facebook, Instagram or Linkedin. Subsequently, when they make sure that they have found a “wealthy victim” they start to communicate with the victim by sending a “hello” message. After talking to the victim for a while, they invite the victim to Skype App to talk more, and after talking on Skype for some time, suspect makes the victims to watch a video of a woman taking her clothes off. After strip video show, suspect says, victim should do the same thing. Because the victim sees a girl takes her clothes off, he feels comfortable with doing the same thing and he thinks he can do the same thing self-confidently. When the victim takes his clothes off and even does the things what the suspect wants, his video is recorded by the suspect and at that time blackmail starts. After recording video, the suspect shows the victim his video and threatens him by publishing the video on the internet or sending the video to his family, friends or boss. Sometimes they even say they will publish the video on the internet with some unpleasant scenarios, like child abuse…Skype scams are serious crimes and the suspects of this crime mainly focus on suppressing the victim and their aim is pushing the victim to pay money without giving him a chance to think what he can do. In addition to the cyber crimes that committed via Skype, another popular type of this cyber crimes is blackmail over videos and webcam. And similar romance scams via Whatsapp and other instant messaging applications such as Tango, Viber etc. We experienced that suspects particularly from Bulgaria, Ivory Coast, Morocco, Turkey and Ukraine are committing this crime recently. How to prevent becoming a victim of this crime? Always keep in mind, anything you do on the internet, can be recorded. 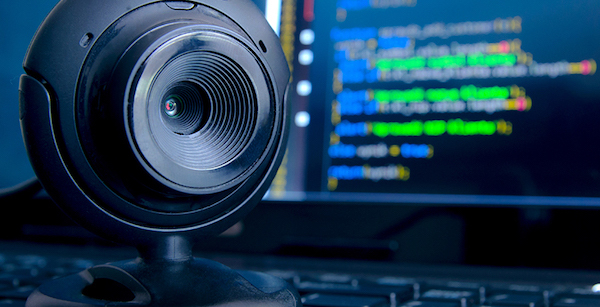 Never use a webcam to communicate with anyone you do not know. Pay extra attention while communicating with people you meet online. Be aware that people you meet online may not be who they seem to be. Always be suspicious of unusual friend requests, and do not accept. Do not reveal your personal details on the internet. What we do to deal with Skype scam blackmail crimes? As an experienced lawyer in computer crimes, I have handled many investigation and criminal cases related to Skype scam and Skype blackmail crimes for the last ten years, and I helped our clients from different countires to save them from being a victim of this crime. When you feel you are a victim of Skype Scams or Skype Blackmail you should collect all evidence you can. You should take screenshot of the suspect’s Skype profile and keep all chat records. And, if you have made any payment, keep the receipt. Then contact us via phone or e-mail. We will help you to get rid of that difficult situation as we did for our previous clients.